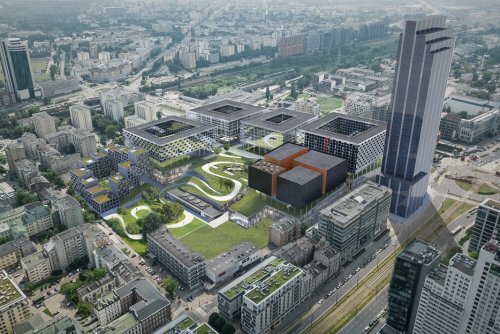 Towarowa 22 will be the largest mixed use project in the center of Warsaw. It spans the area of 6.5 hectares and it is located in the heart of the fastest growing part of the city and is the largest commercial plot in the center. The beginning of construction works is planned for 2019. 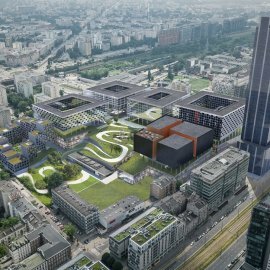 Wola - the district in which the site is located - is the fastest growing part of Warsaw. With the construction of the second metro line and improving infrastructure, it is the most popular location for office and residential projects. There are approx. 500 000 sqm. of new offices in the pipeline so that the area will become the most important business district of the city. Within a 10 minute walk from Towarowa 22 there are 140 000 people living nearby and according to the study between 2015 and 2025 the population will increase by another 25%. During rush hours there are nearly 6000 cars passing the plot every day. 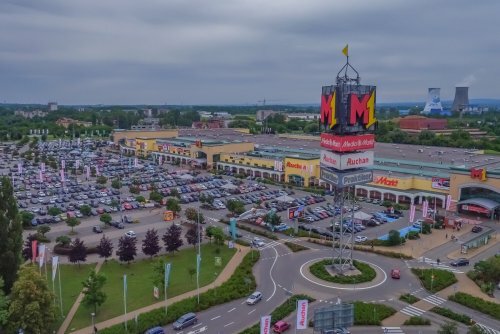 Galeria Młociny is a mixed use project with a combined leasable area of 81 900m² of which 71 000m² is earmarked for retail, entertainment and gastronomy. 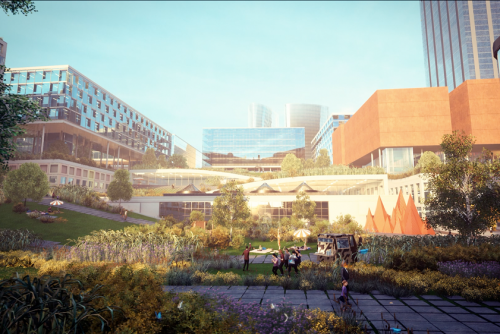 It will include a modern cinema, a fitness club, an extensive food court and a medical center. Already 60% pre-leased. Construction of the first phase commenced in October 2016 with completion scheduled for Q2 2019. 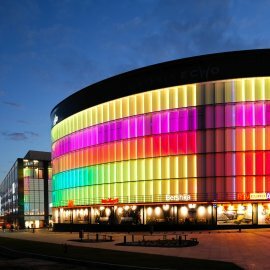 Galeria Echo remains one of the biggest schemes in the portfolio, well established regional shopping centre and the most dominant retail destination in Kielce and wider catchment area. It has 229 retail units. The property is located outside the city center, close to universities and residential dwellings, ca 3 km northeast of the city center. The shopping center building has an irregular shape, with two upper floors organized on a rectangular layout. 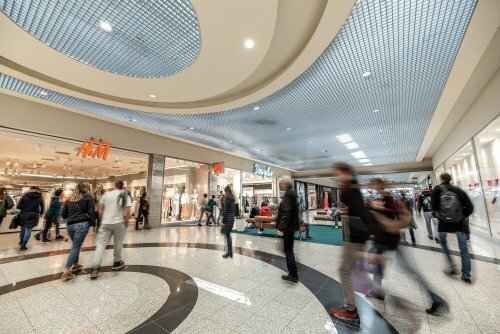 The ground floor is arranged along four corridors and accommodates a large retail unit located at the end of original part of the shopping center. Two upper floors and -1 level are arranged in a rectangular shape, with two longitudinal passageways, composed of small retail units on floor -1 and +1. Floor +2 accommodates large units with fitness, bowling and home decoration retailers. The car park offers nearly 2,000 spaces. 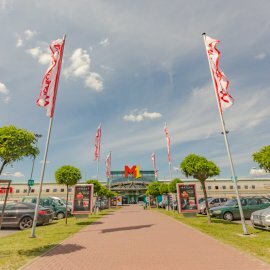 Galaxy shopping center is currently a 168 retail unit modern shopping center after the opening of a new part of almost 19.000 sq.m. The property is located in the central part of Szczecin. 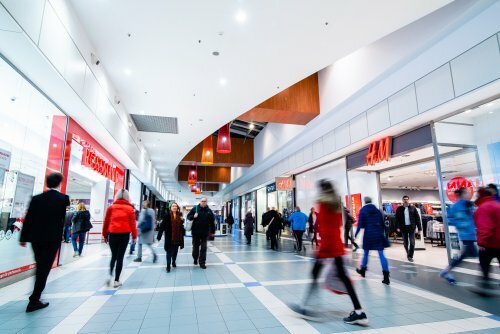 It is one of two dominant retail schemes in the region. 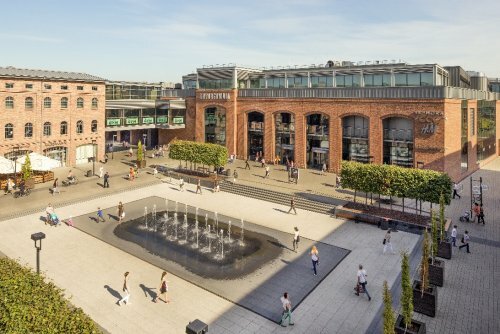 The property currently comprises two buildings: a shopping center and a 5-story, 1,270 spaces car park, connected to the main building by a bridge above the internal road and on ground level via a pedestrian crossing. 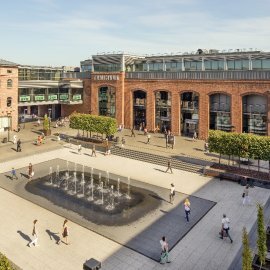 Pasaż Grunwaldzki is a 185 retail unit modern shopping center situated at Plac Grunwaldzki in the central part of Wrocław. The property comprises one of the major retail schemes in the city. 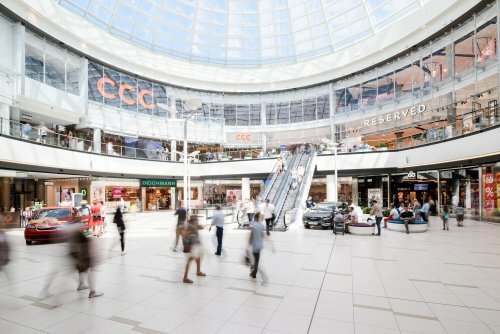 The shopping center is arranged over a single underground floor, a ground and three upper levels. In total the center has some 1,270 car parking spaces. Galeria Amber is a 117 retail unit modern shopping center. The property lies outside the city center, in the close surroundings of the city’s railway station (PKP Kalisz) and main bus terminal, ca. 2,5 km south-west of the city center. The shopping center building has a trapezoidal shape. The ground floor and the first floor are arranged along two longitudinal passageways with two islands, each of them composed of small retail units. The second floor is occupied by a cinema and café. In total the center has some 1,002 car parking spaces. 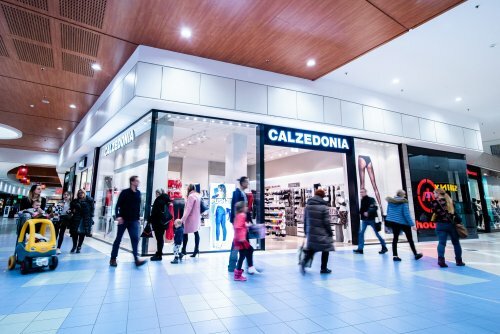 Galeria Sudecka is a 79 retail unit modern shopping center. It is located on the outskirts of Jelenia Góra, ca 3 km northeast of the city center. The property is one of the major retail schemes in the city. Phase I of the shopping center (the hypermarket) is a single storey. The redeveloped part has an additional mezzanine level occupied by a cinema and two other units. The center has a surface car park as well underground parking. In total the center has 1,709 car parking spaces. 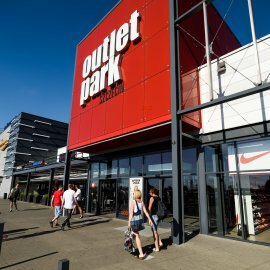 Outlet Park Szczecin is the largest and the only one outlet in the Western Pomerania region, with 28,300 sqm of GLA, 120 stores, and 1000 parking places. 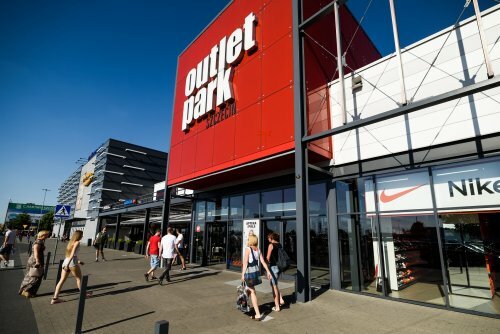 Outlet Park Szczecin is one of the most frequently visited Poland’s outlets – in 2016 it boasted over 3.5 million clients, while during the first six months of this year – over 1.67 million. Zakopianka is located in the affluent southern part of Kraków with a catchment area of 1.4 million people. The city is Poland’s top tourist destination and a leading destination for business process outsourcing and IT outsourcing in Europe. 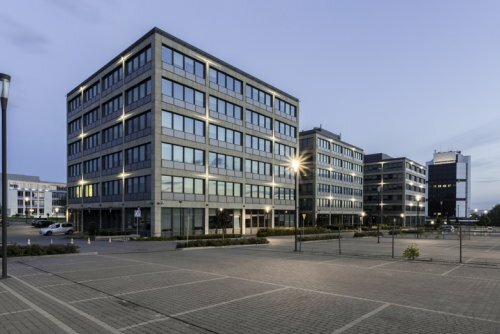 The 27 500 m² center has a diversified tenant mix with a weighted average unexpired lease term of approximately four years. Opened in 1998 Zakopianka is well-established and boasts easy access by car and public transport. Retailers include Cinema City, Jysk, Intersport, Decathlon, Komfort, Reserved, Euro RTV AGD and many others. 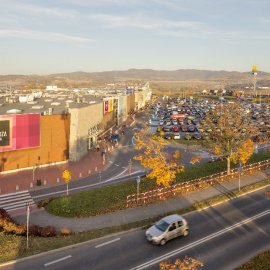 Main tenants: LLP Group, H&M, Rossmann, Multikino, CCC, and Smyk. 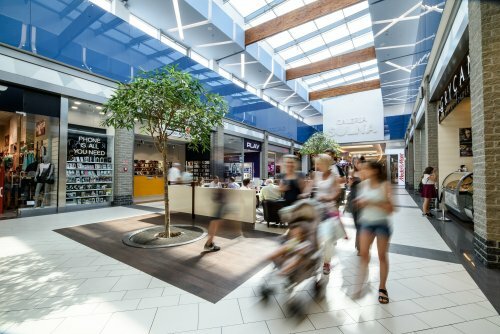 Wzorcownia shopping center is the first and only multi-functional urban retail project in Wloclawek located in the very center of the city, in the immediate vicinity of the PKP and PKS stations. The center was established in the revitalized area of the former faience factory. It is an example of a commercial concept of sophisticated architecture, good shopping and entertainment tenant mix, and a city-center location. 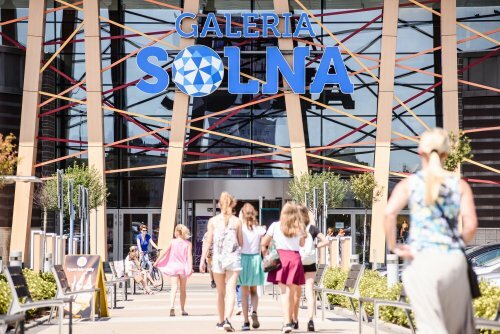 Galeria Solna was open in May 2013. It’s fully leased with GLA of over 23,500 sqm. 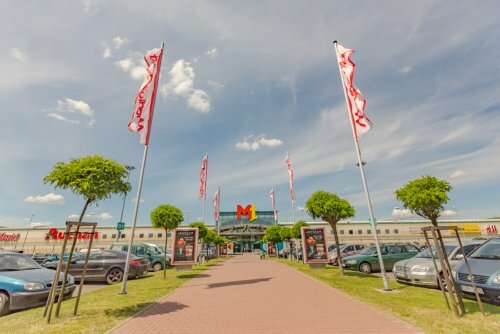 Its tenants include Tesco hypermarket and the leading Polish and international retailers such as CCC, H&M, Reserved, Rossmann, Martes Sport, Deichmann, Smyk, Empik, Media Markt supported by the food court with McDonald’s and other food concepts. 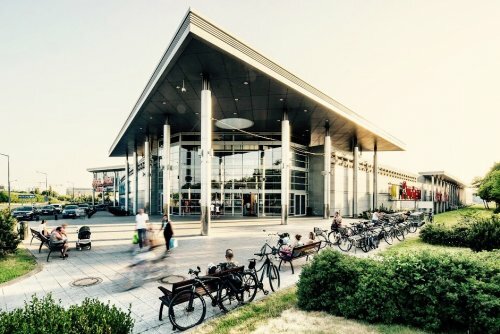 A DIY store Leroy Merlin is located in the direct vicinity of Galeria Solna. 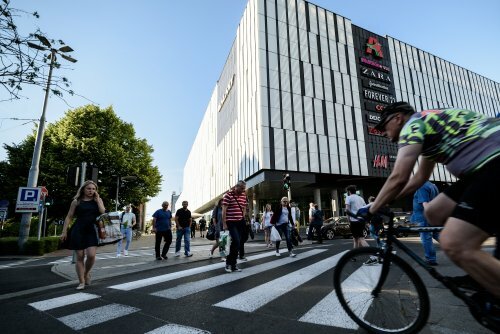 Visitors have an access to a parking lot with over 1 000 parking spaces and an excellent access to the mall is guaranteed by the Wojska Polskiego street as well as a bike path connecting the mall with the city’s spa area located next to the property. Galeria Solna’s unique design refers to the city’s signature – the salt tower. 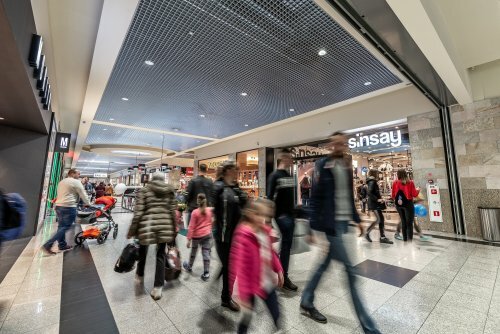 Main tenants: LLP Group, H&M, Rossmann, Carrefour, Cinema 3D, CCC, Empik. 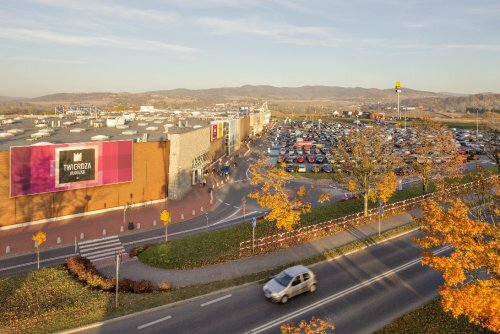 Twierdza shopping center was opened in mid-2009 and is one of the largest employers in the Klodzko area, employing over 800 people. 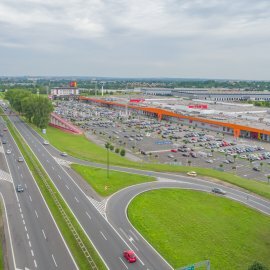 Twierdza shopping center has a total of 1200 parking spaces and offers 70 stores covering nearly 30,000 sqm. Twierdza is also an entertainment center, which provides excellent cafes and restaurants for customers. 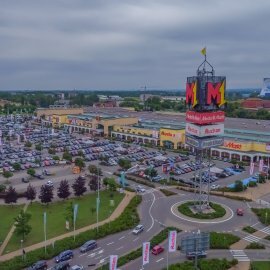 The project consists of two buildings - Twierdza Gallery with Carrefour hypermarket and a restaurant area and a cinema park with cinema 3D cinema. 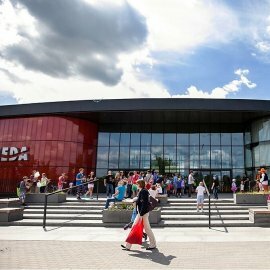 Twierdza gallery in Zamość is the only modern shopping center in the region. The facility has an area of over 23,000 sqm and free parking for 850 seats. 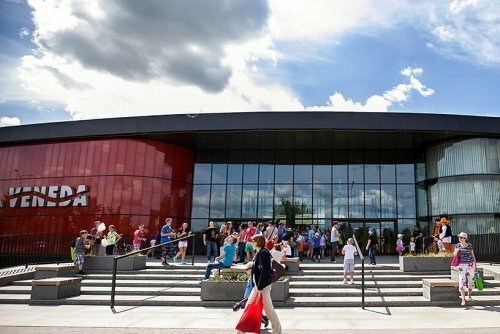 In addition, it is the second biggest employer in Zamość, which employs more than 1000 people. The gallery was opened in May 2011. 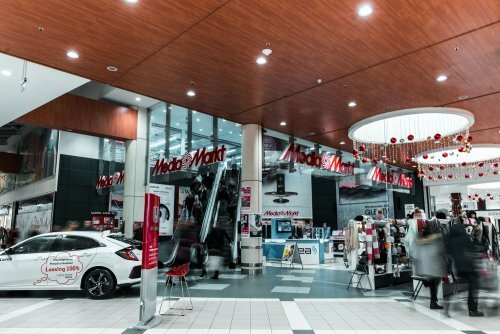 There are 90 stores within the project including Media Markt, New Yorker, C&A, H&M, Reserved, Cubus, Promod, CCC, Deichmann, Monnari, Douglas, Smyk, Matras, Martes Sport, Orsay and many others. 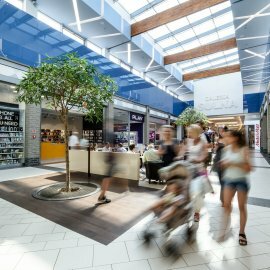 Galeria Olimpia is a 66 retail unit modern shopping center. The property lies within the area of the city administration borders, ca. 2 km south-east of the city center. 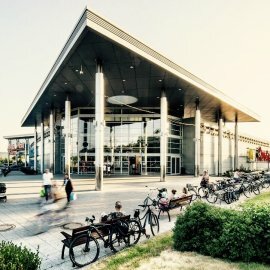 The shopping center building is arranged over a single floor and has a rectangular shape, arranged along a circular corridor, with a hypermarket situated in the northern part. Smaller tenants are located in the central location of the gallery, while major tenants occupy boundary areas. In total the center has some 773 car parking spaces. Galeria Veneda is a 55 retail unit modern shopping center. The property is located in southern part of Łomża. National road no. 63 is situated ca 200 m to the north from the property, providing a convenient access to the town’s center as well as outside the town. 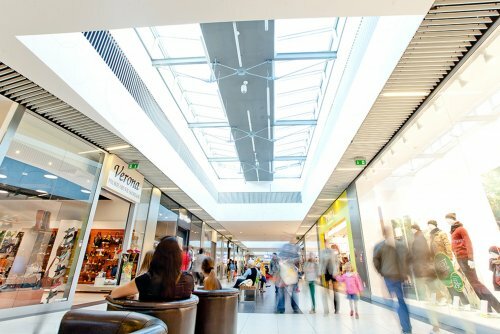 The shopping center is arranged over the ground floor with a single underground parking level. In total the center has 580 car parking spaces. Malta Office Park is a modern office complex consisting of six buildings (A, B, C, D, E or F). The property is located in the eastern part of Poznań, at ul. Baraniaka. 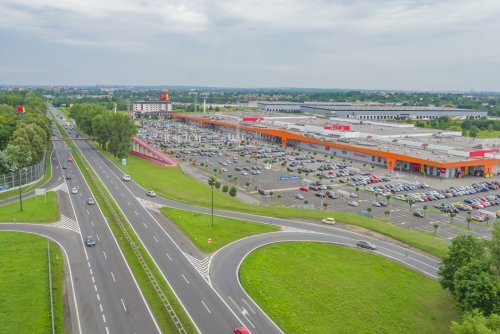 Highway A2 is situated ca 8 km to the south, providing a convenient access to central Poland and to Germany. In total the property offers some 587 car parking spaces. 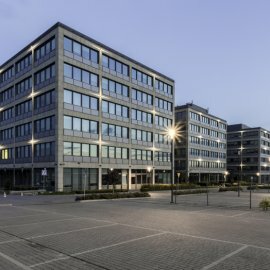 The Symetris Business Park is a modern office complex with a total area of 19.000 square meters, consisting of two buildings connected with common lock-up garage. The architecture corresponds to simple forms referring both to modernist architecture of the interwar period as well as to the industrial heritage of the city. 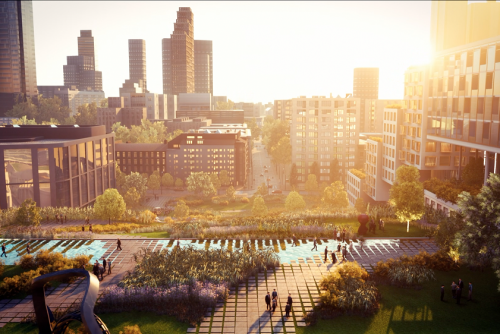 Open space areas are envisaged in the buildings, as well as conference halls, studies, and quiet rooms. The Symetris Business Park allows for a possibility of flexible space arrangement thereby allowing the users to shape the space according to individual needs. 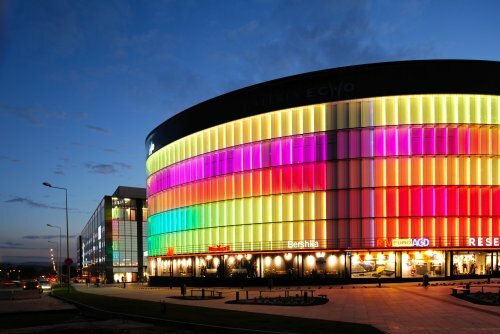 Echo Centrum Przemyśl is a two retail unit shopping center. The property lies within the northern part of the city, ca 2.5 km north of the city center. The scheme benefits from convenient visibility as it is situated at the corner of two main roads: Borelowskiego and 29 Listopada. The center is arranged over a single story. The center has a surface car park located in the western part of the site. In total the center has some 156 car parking spaces. 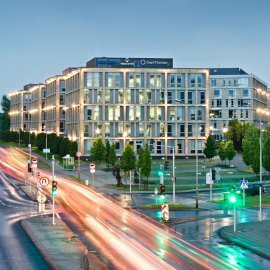 Oxygen is a modern office building situated in the core city center of Szczecin, in the immediate vicinity of the intersection of two main arteries very close to the Galaxy shopping center. The property has a rectangular layout of each floor. 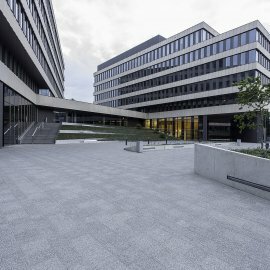 The typical floor plate is approximately 1,760 m2. The property has single story underground parking. In total the property has some 181 car parking spaces. Astra Park is an office complex outside the city center area, close to universities, and residential dwellings, ca 3 km northeast of the Kielce city center. Kielce is a secondary regional city in Poland with an office market in an early stage comparing to other regional cities. The complex comprises three office buildings which are arranged over a ground and five upper levels. In total the property has some 397 surface car parking spaces. Since February 2016, there has been a temporary additional car park with 60 spaces in a location primarily designated for the fourth building of the complex. Park Rozwoju is a modern complex of two office buildings. 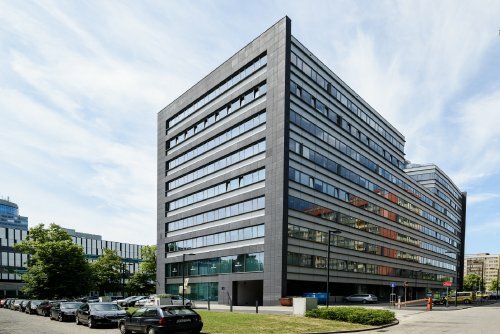 Administratively the property lies in the Mokotów district (southern Warsaw) but in terms of the office market lies in the second largest office area in Warsaw. Both of the buildings consist of 7 above-ground stories and 2 underground stories. In total the property offers some 797 car parking spaces. 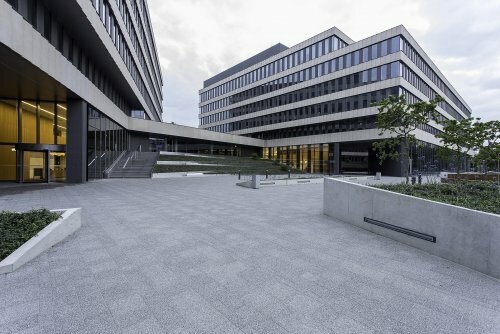 O3 Business Campus is an A-class office complex situated in the north part of Kraków, at the corner of Opolska Street and 29 Listopada Street. 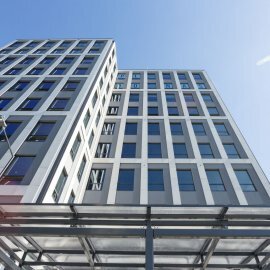 The investment consists of three 12-storey buildings with total space of 57,000 square meters, above-ground parking and underground parking. The excellent location, as well as bus and tram stops in close proximity guarantee easy access to various parts of the city. 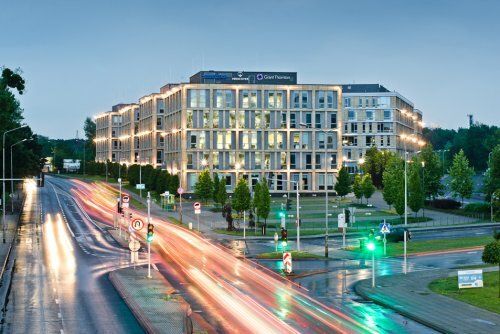 The high standard of buildings, as well as green spaces around them make Opolska Business Park an ideal place for business in Kraków. If you wish to always be informed on our news and events? Leave us your e-mail address. I agree to processing my personal data for marketing purposes. I agree to sending me marketing information and commercial offers. 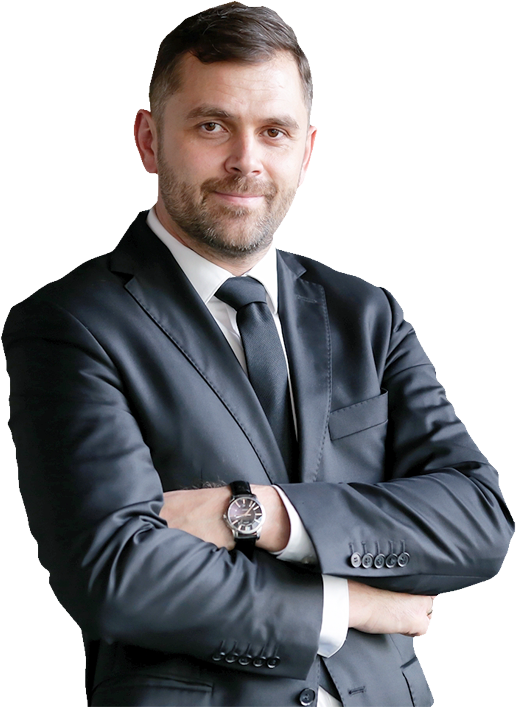 EPP is a real estate investment company that follows the REIT formula regarding investment strategy and dividend policy, investing in retail properties throughout Poland with primary listings on the Main Board of the JSE and the Euro MTF market of the Luxembourg Stock Exchange. 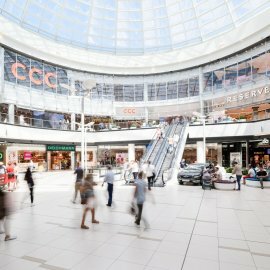 With a current portfolio that includes 6 office, 19 retail projects and two retail development sites in Warsaw, totalling over GLA 835 000 m² our initial portfolio is highly diversified. 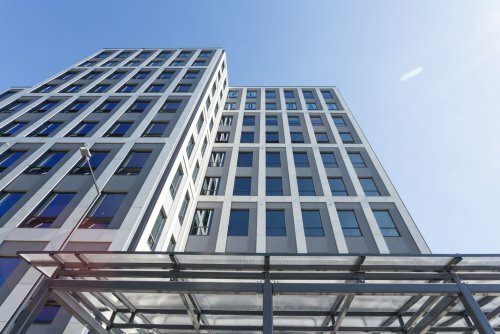 The buildings are located in 18 cities across the country, characterized by their strong economy and purchasing power, and ability to attract international investment interests. 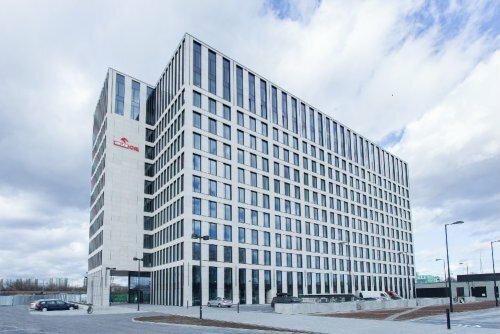 Our goal is to create Poland’s leading, cash-generating platform of well-performing office, retail, and industrial assets that will deliver consistently high returns to our shareholders. 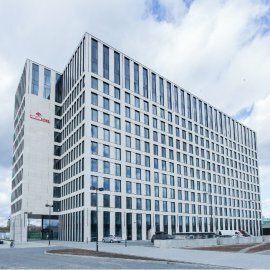 EPP was created on base of Polish cash-generating commercial projects built and held by Echo Investment, listed on Warsaw Stock Exchange (WSE) developer company controlled by consortium of the most active real estate investor in Central and Eastern Europe - Griffin Real Estate together with Oaktree and PIMCO funds. 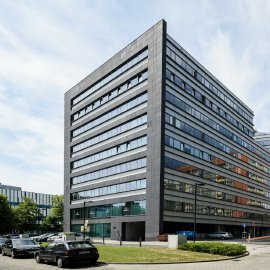 EPP invests in Poland's based commercial properties. On 1 January 2016, a South African REIT headquartered in Johannesburg - Redefine Properties - acquired a 75% stake in EPP’s issued ordinary share capital, subsequently reducing its shareholding to just under 50% through the on-sale of EPP ordinary shares to a consortium of selected co-investors.